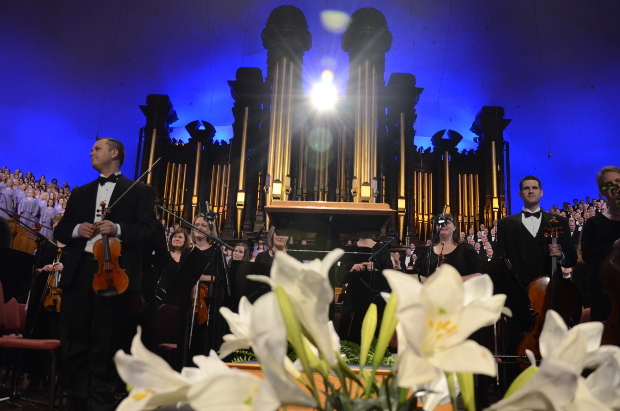 Begin your Easter celebrations by participating in a live stream or satellite broadcast of the Mormon Tabernacle Choir and Orchestra at Temple Square performing Handel’s beloved oratorio, Messiah. Wherever you are in the world, you’re invited to sing Messiah along with the choir and orchestra and world-class soloists. For a more immersive experience, download a PDF of the musical score and the concert program with libretto from the choir’s website. Watch the concert via the Church satellite system, on LDS.org, mormontabernaclechoir.org/messiah, or the Mormon Channel, on Friday, March 23, at 7:30 p.m. (mountain daylight time). To learn about the other ways you can participate in this sing-along, click here.